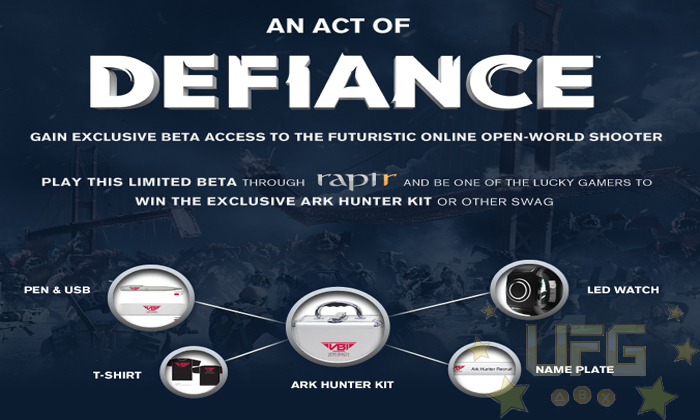 Raptr To Give Away 1000 Defiance Beta Codes! Raptr announced something cool a little while ago. Starting today, registered Raptr users are eligible for one of 1,000 beta codes for the online open-world shooter Defiance! If that wasn’t cool enough, anyone who earns a beta code through this Raptr Reward is also entered to win the exclusive VBA Ark Hunter Kit or other Defiance swag. To learn more about being eligible, check out Raptr’s site. Even if you join today, you can still win a code. The beta starts this weekend; it goes from Friday (Jan. 18th) at 8AM PST/11AM EST through Sunday (Jan. 20th) at 9PM PST/12PM EST. Be sure to check back here as we continue to cover this title! 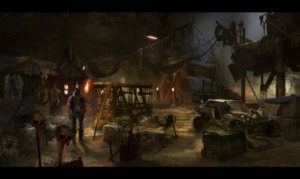 Trion Worlds and Syfy Announce Defiance! Trion Worlds and Syfy team up for game/TV show!